Luc Tieman, 34, charged in the death of his wife Valerie, whose body was found in a shallow trench behind Tieman's parents' home with two bullet wounds on the head and neck. SKOWHEGAN — Jury selection is set to begin Thursday morning in the murder trial of a Fairfield man charged with killing his wife in August 2016 and burying her body in a shallow grave behind his parents’ house, where the couple had been living. Luc Tieman, 34, a disabled Army veteran, is charged with intentional or knowing murder in the death of his wife, Valerie Tieman, who was 34. 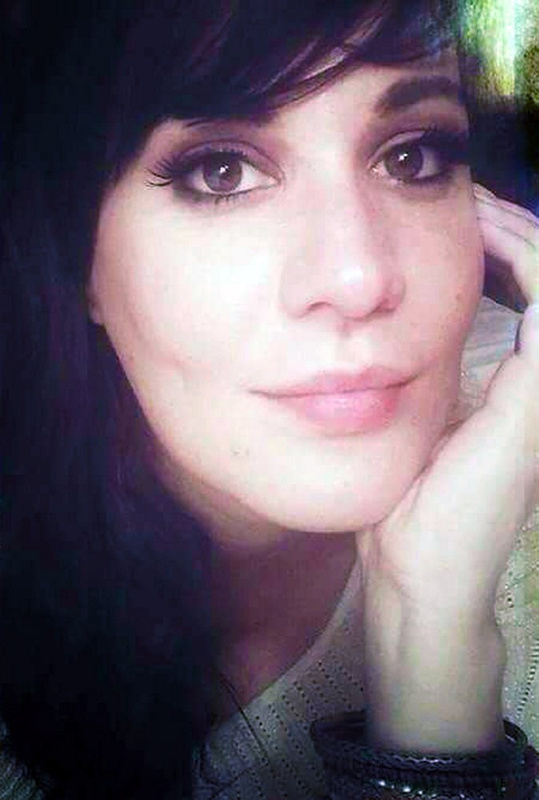 Valerie Tieman’s body was discovered by state police detectives on Sept. 20, 2016, wrapped in a blanket with a bag of potato chips, a bottle of perfume and a note that reportedly had an “apologetic tone,” according to the autopsy report. She had been shot twice, in the head and neck. Luc Tieman, who served in Iraq and reportedly suffers from severe post-traumatic stress disorder, has pleaded not guilty to the charge. The trial is scheduled to begin at 9 a.m. Monday in Somerset County Superior Court. Justice Robert Mullen is assigned to the case. Through his defense attorney, Stephen Smith, of the Augusta law firm Lipman & Katz, Luc Tieman contends that his wife died of a drug overdose from heroin that he had given her and watched as she injected herself and smiled at him as she died. When her body was found, it was “clad in damp clothing consisting of brown boots, bright yellow/green socks, a grey T-shirt, blue jeans and a navy shirt,” according to the report, which is dated Oct. 5, 2016. The report was signed by Clare Bryce, a medical doctor and deputy chief medical examiner who performed the autopsy Sept. 21, the day after Tieman’s body was found. Fragments consistent with bullet fragments were retrieved from her skull, according to the affidavit for Luc Tieman’s arrest filed by Maine State Police Detective Hugh Landry. Sept. 21 also was the day that Luc Tieman was arrested and charged with murdering her and burying her about 400 yards from where they had lived with his parents at 628 Norridgewock Road in Fairfield. Assistant Attorney General Leanne Zainea and Assistant Attorney General Leanne Robbin are the prosecutors. Zainea and Robbin said they were prepared for trial. “Trial it is,” Smith said in an email. In interviews with the Morning Sentinel, Luc Tieman’s friends said he had been unfaithful to his wife and sought companionship with other women, telling them his marriage was ending around the time she disappeared. According to the court affidavit filed at the Unified Criminal Court in Skowhegan, Fairfield police provided state police detectives with reports and a recording of Luc Tieman’s call to the dispatch center just after 5 p.m. Sept. 12, 2016, saying he and his wife Valerie had gone to the Walmart store in Skowhegan to buy food. Luc Tieman told Fairfield police that he had gone into the store and had taken the keys to his truck with him. When he returned to the truck, Valerie was gone, according to the document. Fairfield police Sgt. Matthew Bard told state police investigators that they had received a call from Valerie’s parents, in South Carolina, who told them that Luc Tieman had called them on Sept. 8, 2016, saying that Valerie had left him and that he had not heard from her in some time. Valerie was reported missing the following day, Sept. 9, 2016. Luc Tieman had not reported her missing. On the morning of Sept. 13, 2016, Detective Landry went to the Skowhegan Walmart, where he saw a red pickup truck that matched a photo of Luc Tieman’s truck given to him by Fairfield police. Luc Tieman was driving the truck. Landry told Tieman that he had gone to Walmart to review video footage as part of the investigation into Valerie’s reported disappearance. Tieman said he had gone to the store because that was the last place he had seen his wife and repeated his story about Valerie having left the truck and not returned. 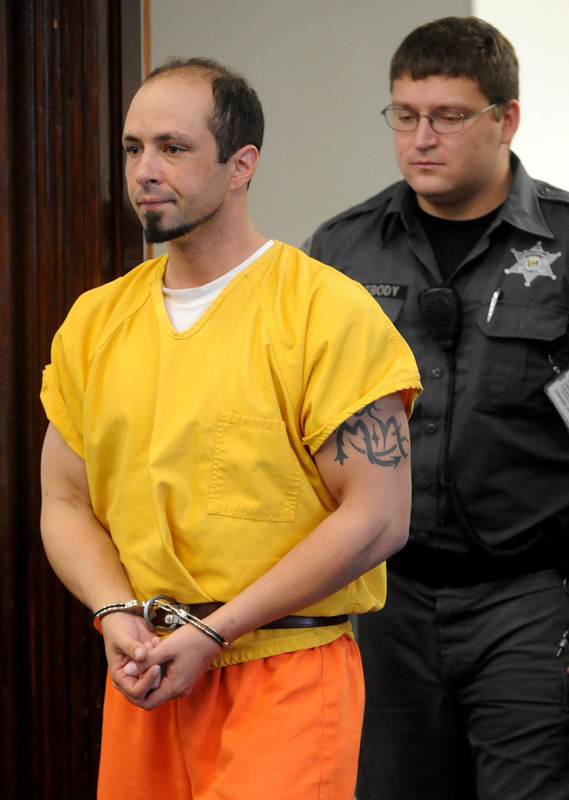 Luc Tieman is led into court to face a murder charge in October 2016. Video from the Walmart parking lot observed by state police did not show Luc Tieman’s truck on any days between Aug. 21, 2016, and Aug. 31, 2016, according to the affidavit. A detective with the state police Cell Phone Analysis Unit determined that the last call Valerie Tieman made to Luc was on Aug. 24, 2016. The call lasted 13 minutes and 33 seconds. Police think she was murdered on Aug. 25, 2016. 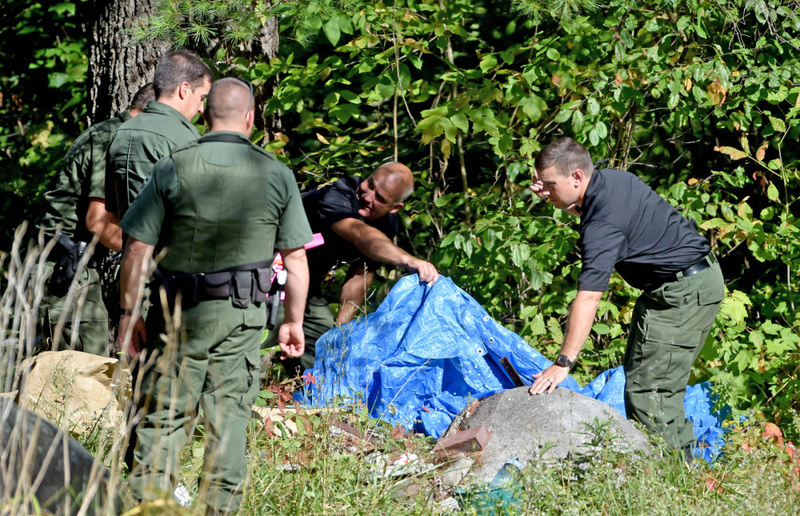 On Sept. 20, 2016 Maine State Police and the Maine Warden Service executed a search warrant at 628 Norridgewock Road in Fairfield, where Luc Tieman’s parents lived, and found Valerie’s body partially buried in a wooded area behind the house. Luc Tieman initially denied any knowledge of the body, but later changed his statement, saying Valerie had a drug addiction and that he had witnessed her overdose and die. The autopsy was performed the next day, Sept. 21, 2016, when it was determined that Valerie Tieman had died from two gunshot wounds to the head and neck.